Over the past two decades, Muse have risen from a group of three guys from Teignmouth, Devon, to a superpower in the rock genre and a live music phenomenon. 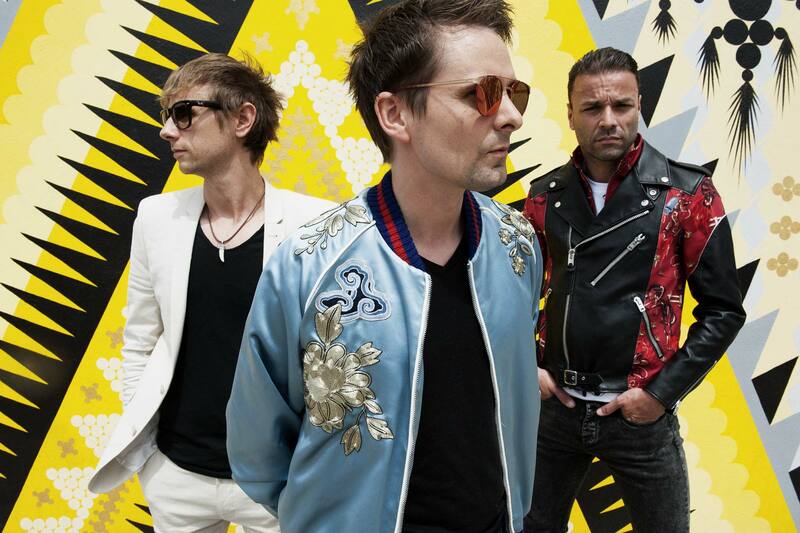 The band’s journey began back in 1997 when Matthew Bellamy (vocalist & guitarist), Chris Wolstenholme (bassist) and Dominic Howard (drummer) launched their self-titled debut EP with Dangerous Records. The following year, they released their first big single: ‘Muscle Museum’. ‘Muscle Museum’ brought a new sound that no band had really attempted before, to merge the electronic and rock genres. This got a lot of people excited, from critics, to fans, to record companies. Off the success of ‘Muscle Museum’, Muse were subsequently signed to Maverick Records. In 1999 the band released their debut album Showbiz, which went platinum in the UK. Due to the success of Showbiz, Muse almost immediately started work on their follow up album, and in 2001, it was released. Origins of Symmetry showed that Muse were not one-album wonders, sporting such instant hits such as ‘Plug-in Baby’ and ‘Newborn’. The band then took their sound on tour, and the recordings from the tour were then used to create album number three, the Hullabaloo Soundtrack. Released in 2002, it contained songs that were cut from the first two albums as well as live performances from their tour. By this point, Muse were known by music fans up and down the UK, but they still had to make a statement in the US. Their next album, Absolution, did just that. Released in 2003, it contained the tracks ‘Time Is Running Out’ and ‘Hysteria’. It made people in the US notice the Devon-based band, so much so the album went platinum in the US. It was an even bigger success back home, where it went triple platinum Now that they had established themselves, they could spend some more time perfecting albums. It would take another three years before we would hear from the band again. Black Holes & Revelations was released in 2006, and it went straight to the top of the UK album chart. The album contained some of the band’s most recognisable singles, including ‘Supermassive Black Hole’ and the sublime ‘Knights of Cydonia’. After releasing Black Holes & Revelations, Muse toured the world and became notorious live performers, winning awards for the best live act from NME, Q Awards and many more. After they had toured, they went back into the studio and started work on album number six; The Resistance. The 2009 album has the band’s most iconic album artwork, and it contained their highest charting song to date: ‘Uprising’. The Resistance took the band in a more orchestral direction, which is especially present in the ‘Exogenesis’ trilogy. Knowing their strengths, the band then toured the world with their latest album in The Resistance tour. By now, Muse were world famous, and deservedly so. But they can’t have anticipated the massive opportunity that came their way in 2012, when they were approached by the organisers of the London Olympics to write a song for the opening ceremony. The result was ‘Survival’, which was the lead single from their next album, The 2nd Law. The album was released later in 2012, and again the style of Muse evolved slightly, moving towards dubstep influences, which are present in the title tracks of The 2nd Law. Muse then did a The 2nd Law tour, which again was a massive success, however some were critical of the direction the band were going, so they started working on some songs with heavier rock influences. These were the tracks on the 2015 album Drones, which was a political statement as much as an album, focusing on conflict and war. Following the album, Muse went on another world tour. Fittingly enough, they recorded it all on drones, and the footage was used to create a feature length film of the shows, which was released to cinemas in 2017. In 2017, Muse released ‘Dig Down’, the first single from their upcoming album, which is as-yet untitled, but is hoped to be released late 2018. Following on from ‘Dig Down’, Muse released three more singles this year: ‘Thought Contagion’ in February, ‘Something Human’ in July and ‘The Dark Side’ in August. All of the singles suggests Muse is going back to their electronic roots and moving back away from the heavier, rocky attitude of Drones. So, what have we got to look forward to? Muse have announced their next studio album, Simulation Theory, will be released on November 9th. Judging from how the last few albums have dropped every three years, it was to be expected that it would be released by the end of 2018. From the tracks we have so far, the band seems to be going back to its electronic rock genre-bending sound that makes Muse so unique. The release of Simulation Theory would also suggest another tour, which would be immense as they are such good live performers. We will have to wait and see what other treats lie in store for us on Simulation Theory.